Chic is a habit worth cultivating; as both Jacquline Kennedy (Onassis) and Habitually Chic will tell you. Begin your studies with both of them as they are excellent teachers. Here HC gives us a glimpse into how she shapes her world. 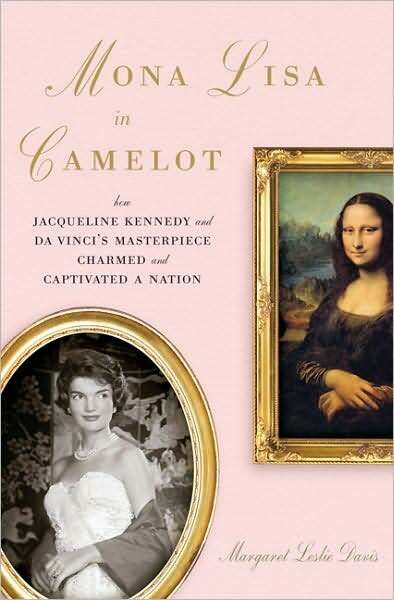 I love books and art and I wanted to suggest something not too expensive so “Mona Lisa in Camelot: How Jackie Kennedy and Da Vinci’s Masterpiece Charmed and Captivated a Nation” fit the criteria perfectly. I read an excerpt in Vanity Fair magazine and can’t believe I had never heard the story of how Jackie Kennedy convinced the French cultural minister and the Louvre to send the Mona Lisa to the National Gallery in Washington, DC for an exhibition and in January no less! But I can’t imagine anyone but Jackie and her perfect French making this happen! I am buying a copy for myself and all my art loving friends this Christmas. Happy Holidays! This entry was posted in 2008 Holiday Gift Guide and tagged 2008 Gift Guide, Habitually Chic, Jacqueline Kennedy. Bookmark the permalink.